← A Hard Lesson in Mitres! A few weeks ago I signed up for a stitch-a-long with Faby Reilly. I’ve stitched a few of her designs as I love her style, so when I saw she was starting a stitch-a-long for a sewing wallet I signed up immediately. It’s a wallet with a scissor holder, needlecase and mini pin cushion, perfect for taking to Embroiderers Guild. The first pattern release was about ten days ago, it’s the cross-stitch base of the first side of the wallet (it folds in three) we’ve got two weeks to stitch it in as the next pattern will be released on Monday. I managed to finish stitching it this afternoon. The measuring grid she suggests stitching up the side proved very useful for accurate stitching, this will be used for whip-stitching the wallet together afterwards too. I’ll certainly be using this tip again as I’m hopeless at long distance counting! You can see it quite clearly on the photo at the end, it marks every 5 and 10 stitches. I’m pretty sure the flowers are lisianthus, hence the name Lizzie, which is lovely as I had lisianthus in my wedding bouquet, they’re beautiful flowers. So this is my Lizzie Stitching Wallet so far, I know it will look gorgeous when Faby weaves her magic with the back-stitching. If anyone fancies joining in it’s not too late, just click over to Faby Reilly Designs, I think you’ve got until the second installment comes out on Monday. I’m linking up with Kathy’s Quilts for Slow Stitching Sunday, why not follow the link and see what everyone else has been stitching by hand. oh this looks very pretty ! Lovely! And how appropriate are the flowers and the colours to your tastes! Oooh, I’m so pleased that this is reminding you of your wedding bouquet !! You’re most definitely correct about the lisianthus (and the reason for the name of this SAL)!! 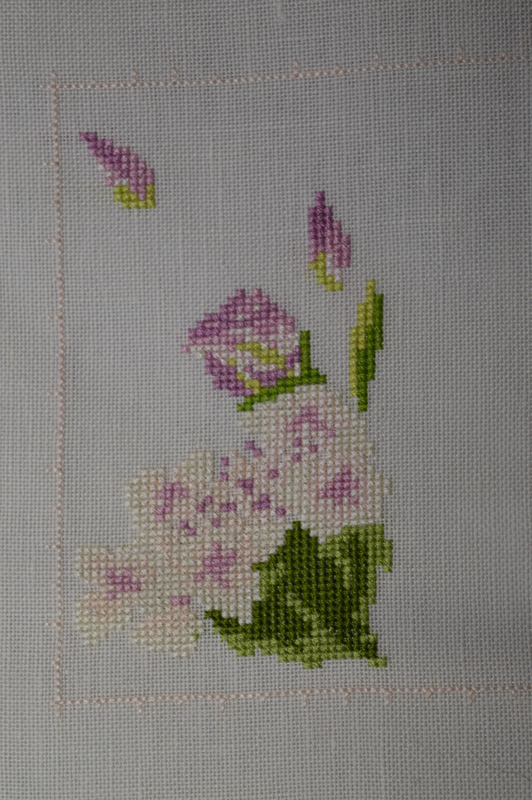 And yes, you’re in for some backstitch next… but not just backstitch 🙂 Gorgeous stitching, by the way, as usual, and your linen looks absolutely beautiful! So prttey and I love your colour palate. What a beautiful project! So nice that it reminds you of your wedding bouquet! 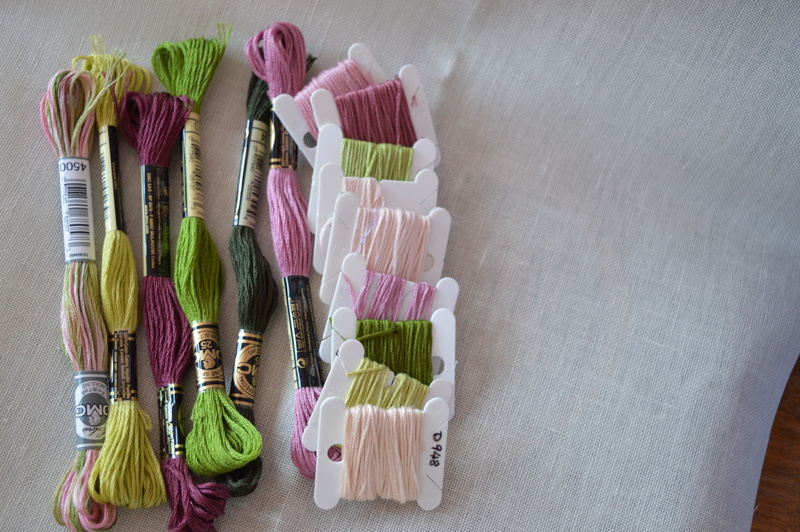 Thanks for linking up to Slow Sunday Stitching and sharing your project with us! This is looking so pretty.